Over the years, I have enjoyed watching the carrier wars played out on TV. First, we heard, “When it absolutely, positively has to be there overnight” followed by, “What can brown do for you?” And while the slogans may not be in the mainstream anymore, one problem still exists. It takes too long to prepare, weigh, document and ship a package! How many packages do you ship a day? 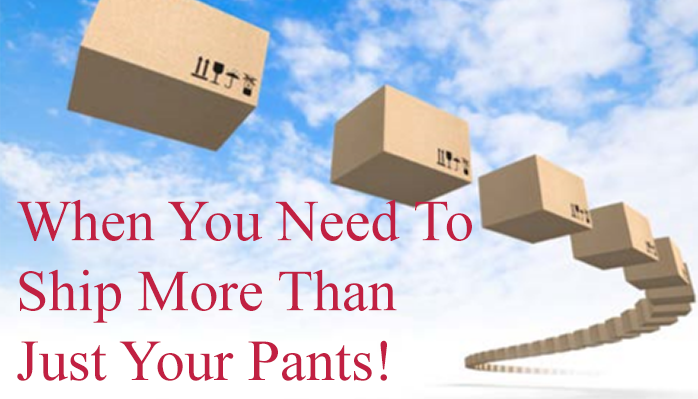 Are you spending too much time getting packages out the door? If you are using UPS WorldShip® with SAP, you are probably entering data into two different systems, once in SAP and then again in WorldShip®, taking too much time and increasing the chance of errors. With Titan’s easyShip, you have the power to simplify shipping your packages, streamline your operations and improve your customer satisfaction with a simple enhancement to your shipping department. Our easyShip resides in SAP and talks to UPS WorldShip®, eliminating double entry and decreasing the time it takes to get packages shipped. A common misconception is that only high-volume shippers need to interface their SAP solution with their carriers. I heard an executive say “we don’t ship enough” to justify the investment. The ROI and Time-to-Results is very short — in some cases weeks — to see your first package shipped out the door on easyShip. In addition to many great features and capabilities, easyShip was designed with SAP in mind. It resides in SAP and has the look and feel of your other SAP screens, reducing the learning curve by your users. From a technical perspective, because it was designed for SAP, you just install it as a transport, synch it up with your customer data and gateway to WorldShip®, and begin testing. Certainly, the extent of how much functionality that you plan to implement may drive your actual results, but the easyShip application was built to ship products, not burden your project teams. What can you expect from easyShip? • Full courier integration while residing in SAP. • Real-time connection to couriers for real-time updates to SAP. • One platform to process shipments. • Use SAP master data for integrity and avoid duplication. • Rapidly deploy preconfigured UPS SAP shipping solutions. • Create UPS shipments and print labels within SAP. • Access UPS services and options. • Minimize pick, pack and ship products with UPS. • Increase productivity and improve customer service. If you have been searching for an easier way to ship, your solution has arrived with Titan’s easyShip! For more information on easyShip, go to our website , or if you want to see a business case, contact Kent Lamb at 972-377-3525 or kent@titanconsulting.net.